On Monday, the New York Giants relieved head coach Ben McAdoo of his McAduties. It was somehow both a long time coming and abrupt—over a little under two seasons as the team’s coach, McAdoo first positioned himself as something like a rising star and then instantly and dramatically biffed everything. His team transparently disliked him and was absolute hell to watch all season. The Giants as an organization have long favored a style that could be described as A Sinus Headache That You Politely Endure At A Funeral. McAdoo, who is a creature of that culture—he is one of those jarringly young NFL coaches who appears to have been born and raised inside of a team’s practice facility—embodied it, and then undid it. By the end, the old Polite Headache was accompanied by a four-alarm nosebleed and heated denials about said nosebleed. 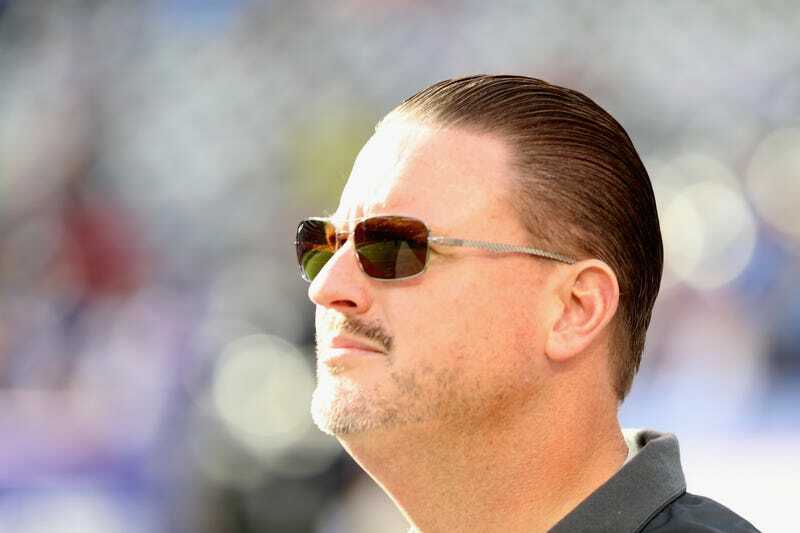 McAdoo spiraled into some truly avant-garde regions of coachy abstraction before the organization finally asked him to turn his peculiarly girthy windbreaker, and the first and most important task for the organization and interim GM Kevin Abrams is to get things back into the old Headache At A Funeral way of doing things. I can’t sit here and tell you who the next head coach of the Giants will be, and given the number of coaching vacancies expected to open up after the season it’s almost certainly useless to speculate. But let’s do it anyway! I talked to insiders around the league and in the Giants front office about the team’s top five at this moment. The operative term there is at this moment. These things change. But for now, these are five candidates that the Giants believe might help get things back in order. 2. A Jersey Mike’s Famous Roast Beef And Provolone Sub, No Lettuce, Wearing A Little Headset - During its stint as interim coach over the last few games of the season, A Jersey Mike’s Famous Roast Beef And Provolone Sub, No Lettuce, Wearing A Little Headset will be given every opportunity to turn around a clubhouse culture that many believed had grown lax and pessimistic. Though he’s best known as a disciplinarian in the Tom Coughlin mold, the advocates for A Jersey Mike’s Famous Roast Beef And Provolone Sub, No Lettuce, Wearing A Little Headset in the team’s front office believe that a little bit of Coughlinian discipline might be just what this team needs. 3. A Golf Cart - There’s always a risk in bringing a college coach into a NFL locker room, and while many around the league believe that A Golf Cart will someday get its chance as a NFL head coach, it’s not clear that this is a risk that the Giants as a team are willing to take at this juncture. In this locker room as in every other NFL locker room, there are a lot of professional-grade egos to manage, and while no one doubts A Golf Cart’s knowledge of the game—his success at the highest levels of college football, first in the Big 12 and then in the SEC, are testament to that—this may not be the right opportunity for either party. 4. Dominick “Frustrated Dom” Vitello - Lifelong Giants fan and owner of Vitello Associates Jacuzzi And Pool in Nutley, N.J., Vitello is a local favorite, and no one doubts his passion for the team. After he spearheaded the campaign among local businessmen to put up the instantly notorious “McAdoo Bafangool” billboard on Route 80, how could they? 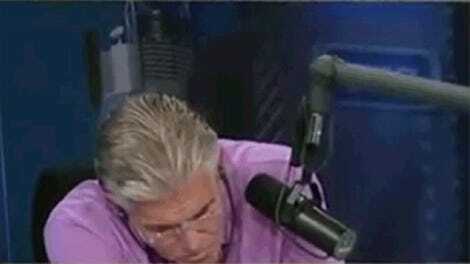 His credentials for the position are limited in comparison to the other candidates, although Vitello does have a credible claim to being the first Giants fan to demand Odell Beckham Jr. get a haircut, and he is the only candidate in the search at this moment to have been documented winning a shouting match with WFAN host Joe Benigno, a feat that Vitello accomplished twice, first in November of 2015 on the afternoon radio show that Benigno co-hosts with Evan Roberts and then again in July of last year at Biagio’s Ristorante in Paramus. Even if the Giants only give Vitello an interview to placate a restless fan base, it’s hard to say he hasn’t earned the shot. 5. Mike Smith - Mike Smith was the head coach of the Atlanta Falcons between 2008 and 2014, compiling a 66-46 record during his tenure. He is currently the defensive coordinator for the Tampa Bay Buccaneers.